Below are some of the most common and frequently visited places closely associated with Ralph Vaughan Williams. To see the many other places with links to the composer download our “Places” pdf. Photograph © Ed Tervooren. By kind permission of Musicalics. 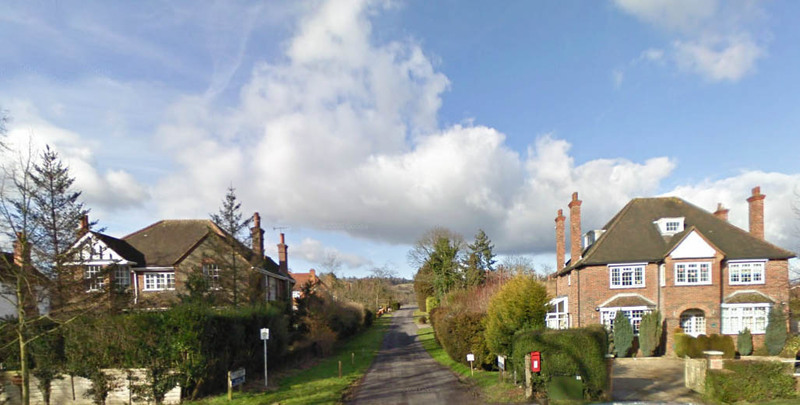 The birthplace of Ralph Vaughan Williams in 1872. 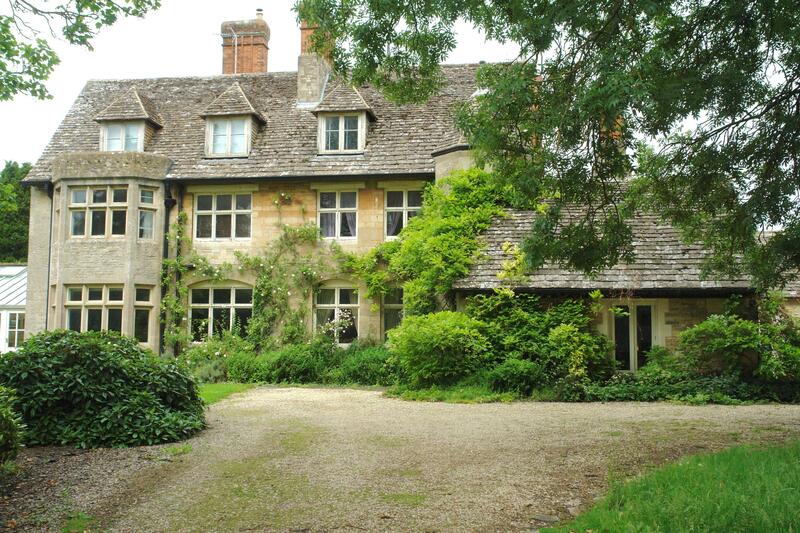 Please note: The Old Vicarage is a private dwelling and is not open to the public. However, it can be seen from the main road. 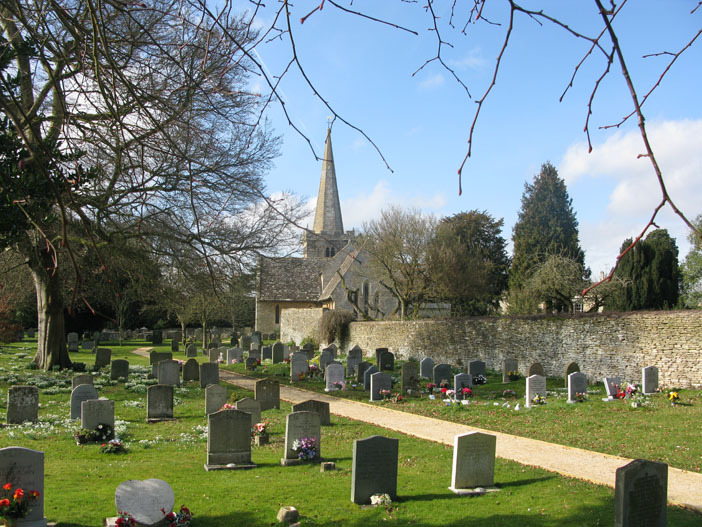 The tune used for the hymn Come Down, O Love Divine, is titled “Down Ampney” in its honour. Vaughan Williams’s father, Arthur was the vicar at All Saints from 1868 until February 9, 1875 when he succumbed to a brief illness and died. His grave is just by the porch. Vaughan Williams was baptised at the church and the ancient font is still in use today. 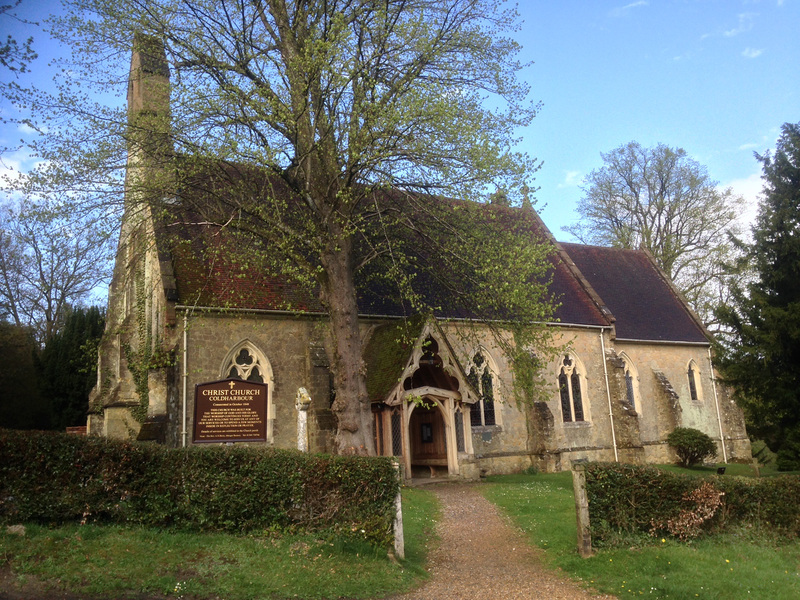 Christ Church, Coldharbour, near Dorking is where Vaughan Williams’s parents were married in 1868. It is a short distance from VW’s childhood home, Leith Hill Place. The organ at which VW practised from time to time is still in use. The graveyard contains a family plot where Vaughan Williams’s brother Hervey and his mother, Margaret are buried. 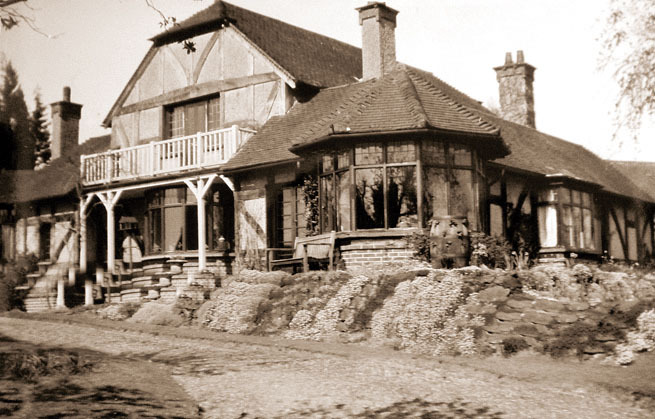 Leith Hill Place was the childhood home of Ralph Vaughan Williams, who gave it to the National Trust in 1945. 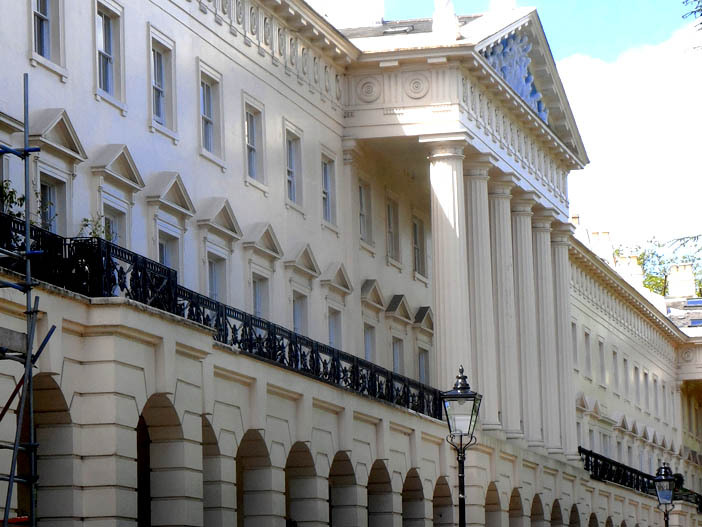 His grandparents, Josiah Wedgwood III and Caroline (née Darwin) moved here in 1847 and his great uncle, the famous naturalist Charles Darwin, conducted experiments in the grounds. The piano on which VW composed among others, The Lark Ascending is on display as well as a small display of artifacts. 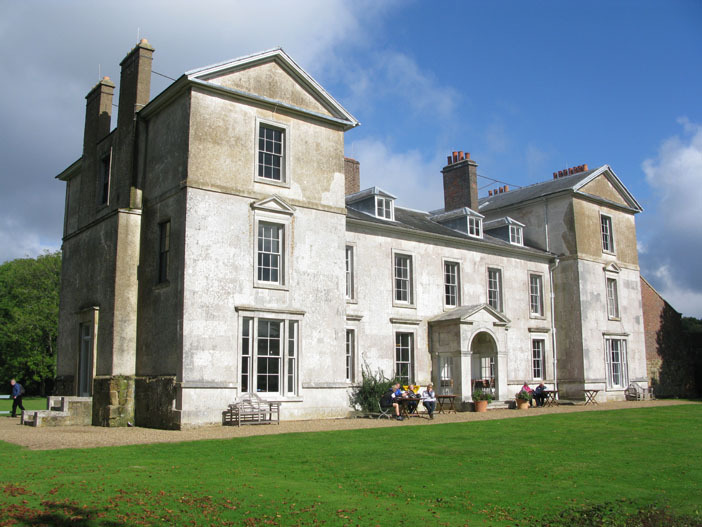 Leith Hill Place was gifted to the National Trust by the composer in 1945 and is open to the public. 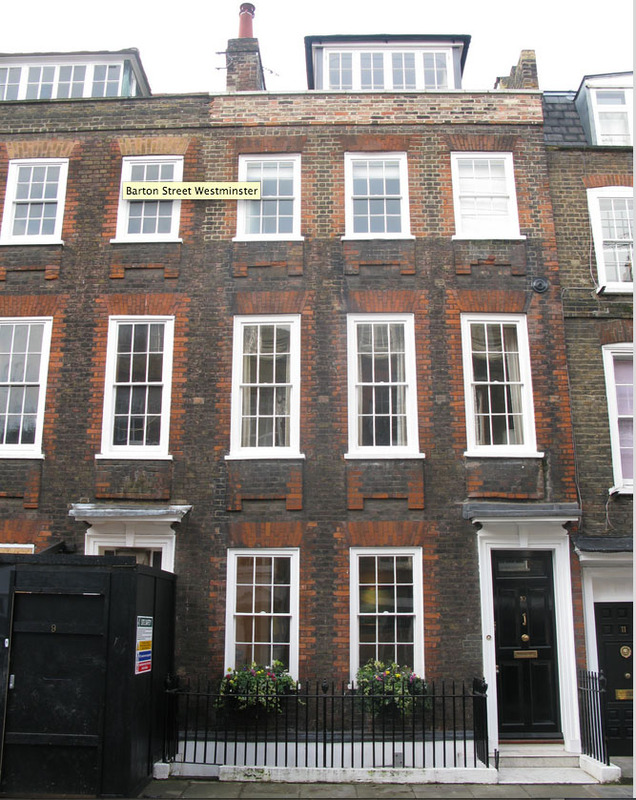 Vaughan Williams and his wife Adeline moved into 10 Barton Street in 1899 and also lived briefly in nearby Cowley Street in the Borough of Westminster. A Cambridge Mass, Bucolic Suite, Heroic Elegy…., Linden Lea, Willow Wood, Quintet in C minor, The Solent, The House of Life, Songs of Travel, English Hymnal (started). 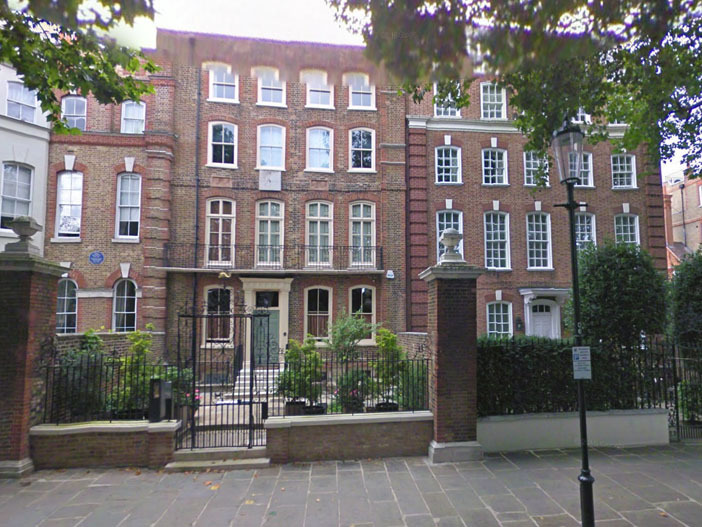 Vaughan Williams moved into 13 Cheyne Walk in November 1905 where he lived for the next 24 years. Here, close to Battersea, he could enjoy a riverside view of the Thames and experience the sounds and images which inspired him to write A London Symphony. The building no longer exists but it is easy to imagine the atmosphere and surroundings of this historic street during his time there. A bust of the composer can be found nearby. Toward the Unknown Region, On Wenlock Edge, Sea Symphony, London Symphony, The Wasps, Tallis Fantasia, Five Mystical Songs, Hugh the Drover, Sancta Civitas, Sir John in Love. Above: 13 Cheyne Walk during the time of Vaughan Williams. 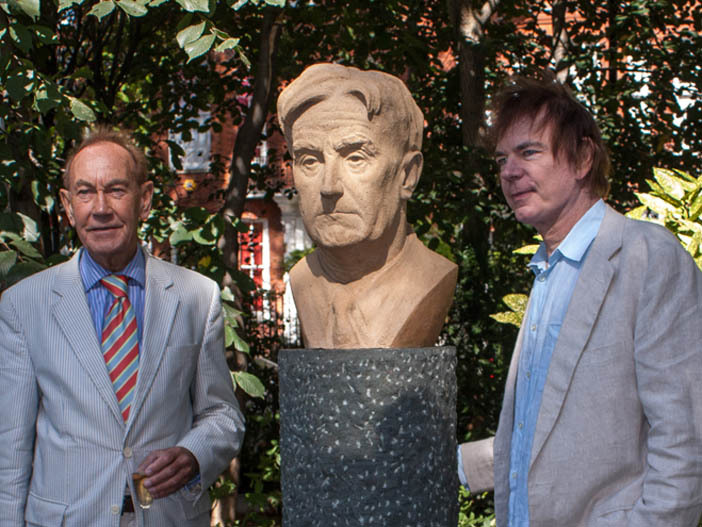 Left: Unveiling of a bust of Vaughan Williams by Peter Bull and Julian Lloyd Webber. Job, Symphonies 4 – 7, Five Tudor Portraits, The Poisoned Kiss, Dona Nobis Pacem, Serenade to Music, (Most of the film music), Oboe Concerto, Oxford Elegy, The Pilgrim’s Progress, Hodie. Top: Nutcombe Lane, where the White Gates was situated. Middle: The fields and view at the rear are still recognisable. Bottom: The White Gates as it was during VW’s occupation. 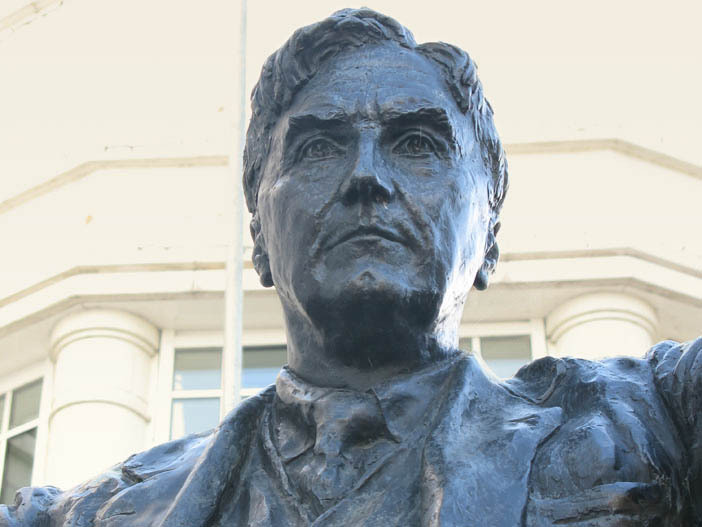 Vaughan Williams lived in Dorking from 1928 until 1953 where he was a prominent and stalwart citizen. He was instrumental in the building the Dorking Halls at which the Leith Hill Musical Festival has been held every spring from 1905 until this day and at which he was conductor until 1953*. 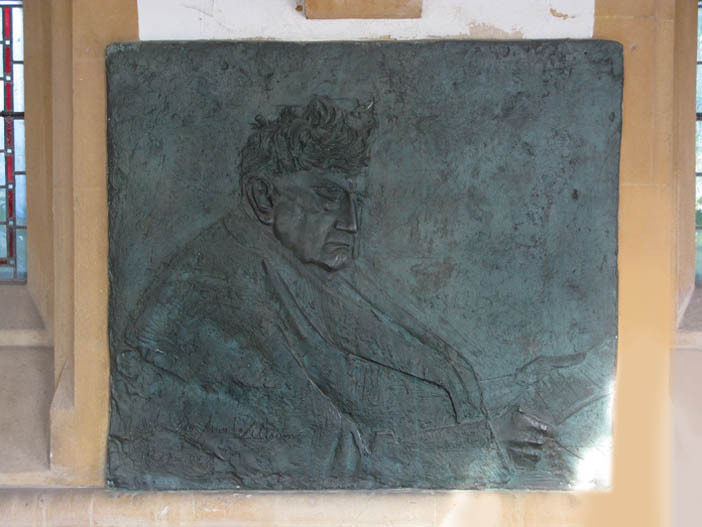 The photographs on the left shows a detail of the sculpture by William Fawke which stands outside the Dorking Halls and a bronze relief by David McCall which is situated in the porch of St Martins Church. The Performing Arts Library on the Denbies Estate houses some memorabilia, a comprehensive amount of scores, books, records and cds as well as an archive of the Leith Hill Musical Festival. *Due to refurbishment 1996 the Festival was held at Charterhouse School. 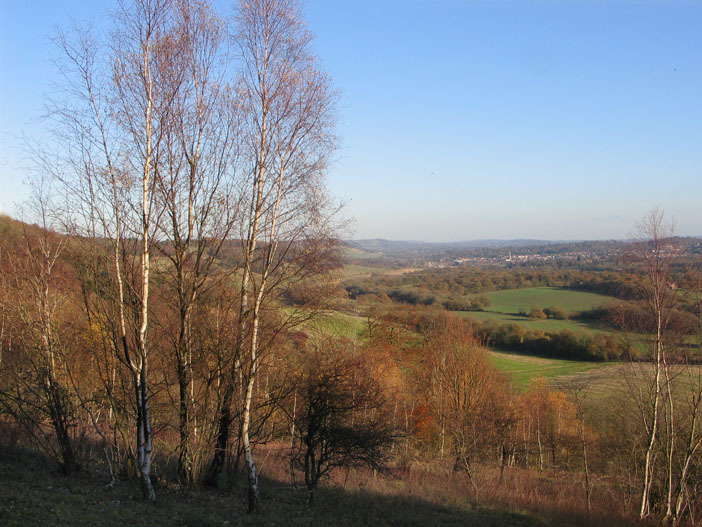 Dorking and the steeple of St Martins as seen from Ranmore Common. 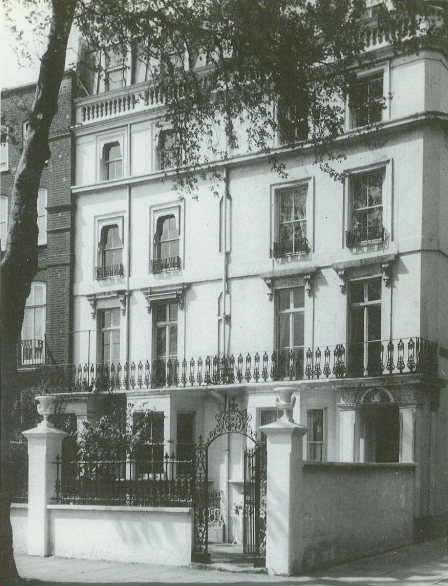 Vaughan Williams lived at Hanover Terrace from 1953 until his death in 1958. Symphonies 8 & 9, Violin Sonata, Epithalamion, Ten Blake Songs, Four Last Songs, The First Nowell. 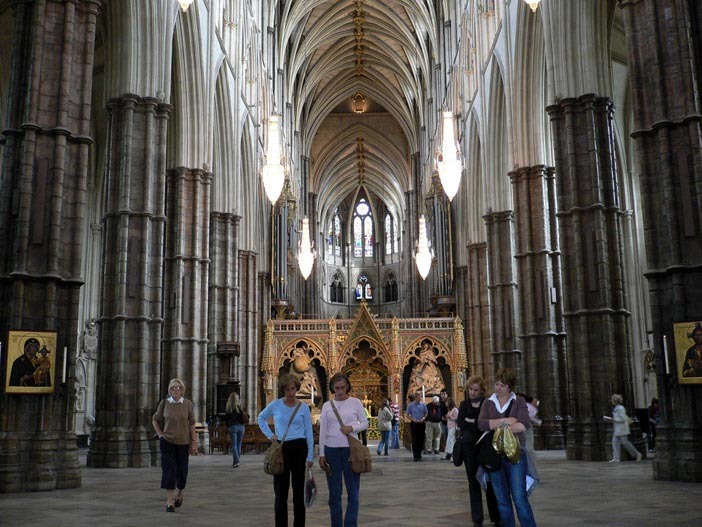 The ashes of Ralph Vaughan Williams, and his second wife Ursula, are interred beneath the north choir aisle of Westminster Abbey, near the graves of Henry Purcell, Herbert Howells and Charles Villiers Stanford.